Children and young people spend numerous hours on the Internet daily. While online, they meet a great number of opportunities as well as risks. Our objective is to develop and offer playful solutions for empowering children and young people with creative and critical digital skills, in an engaging and motivating way. The project is highly inter-disciplinary and spans across the fields of information security, user experience and educational science. 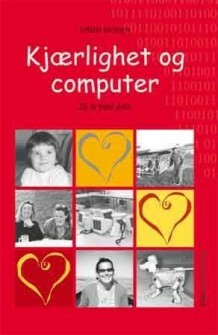 SikkerhetsLøypa will build on the success of Kodeløypa (https://www.ntnu.no/skolelab/realfagloypene one of the scientific offers for children at NTNU) and CyberWiseKids  and focus on how to teach a new generation of online users to avoid risks in the internet, at the same time as learning how to explore the online opportunities. Aida Omerovic and Amela Karahasanovic. “CyberWiseKids“: Gamifying Education of Kids on Online Opportunities and Security Risks. ISBN: 978-82-14-06950-1. Technical Report 2019:00385, SINTEF, 2019. The project will last for four years. Our ambition is to create sustainable new products and services by gamifying education on online opportunities and risks. This is expected to strengthen the publishing and e-learning sector in Norway in their capability to develop and offer products and services which are competitive nationally and internationally. The project will create playful solutions for empowering children and young people with creative and critical digital skills, in an engaging and motivating way, by innovating gaming technologies with focus on Digital Story Telling in cooperation with the publishing, gaming and e-learning sector. Our objective is to create profitable new products and services by gamifying education on online opportunities and risks. In the project we argue that crucial digital competence is the capability of making the right balance between online opportunity and online risk. The real challenge for digital children today is to employ this right balance in various online contexts. The overall novelty is gamification of digital empowerment of children and young people, and more specifically: serious gaming approach to user-centered and adaptive training in cyber security risks and online opportunities. The key challenge is to innovate these new products and services in a way that makes them attractive, fun and educative, so the kids actually want to use them. H2020 Come&Play https://comnplayscience.eu/ – Partners: University of Oulo; Forth; Eindhoven University of Technology; Uppsala Universitet; Technische Universität München; University of Malta; King’s College London. A master’s degree in Computer Science, Informatics, Game technology, HCI or equivalent with very good results is required, with an average grade B or better as measured in ECTS (European Credit Transfer System) grades, or an education at the equivalent level. A solid knowledge of software engineering, interaction design, game technology is essential, and a research-oriented master thesis within one of these or related areas are expected. Web development and game programming skills.